A new book by Richard Miniter contends that it was Valerie Jarrett, Obama’s top adviser, who repeatedly urged President Obama not to take out Osama bin Laden, prompting Obama to cancel the mission three times. Kudos to Miniter for this revelation. 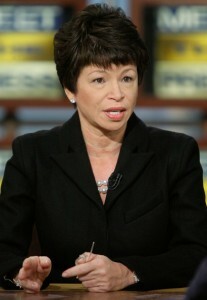 A year ago, I had written a feature article for American Spectator on Valerie Jarrett. One piece of information I had, but couldn’t confirm, was precisely this. Good work by Richard Miniter.